One Fund Boston Charity Scoop at Ben & Jerry’s on 8/15/13! Stop by Ben & Jerry’s at 174 Newbury Street in Boston on Thursday, August 15, 2013 from 4-6pm for ice cream scooped by two New England Revolution Stars! The best part is that all the Tips Sene & Jerry receive at Ben & Jerry’s (get it!?) and 50% sales will go directly to the One Fund Boston. Stop by, enjoy some ice cream, meet some Revs players, and support the One Fund = win, win, and win. Boston Strong Suite Raffle for the Boston Strong Concert on May 30, 2013! A Concert for Boston will be at TD Garden next week, and tickets sold out very fast. If you were unable to score tickets to the concert on Thursday, May 30th, you may be interested in this raffle from Garden Neighborhood Charities. From now until Friday, May 24th, buy a raffle ticket for $5 (minimum of two tickets) to be entered to win a luxury suite for you and 11 friends at the concert with event catering and a $500 Garden Gold Card. 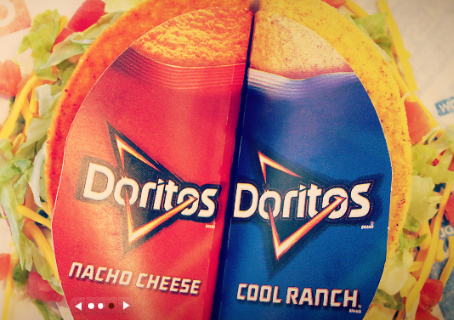 Pretty awesome, right? Even if you do not win this amazing prize pack, all proceeds from the raffle will benefit the One Fund. Win. Win. For more information or to buy your raffle tickets please click here. Good Luck! Now until Sunday, April 28, 2013, stop by the Cask ‘n Flagon and purchase a Patriot Pizza for $12.50. All Patriot Pizza sales will be 100% donated to the One Fund Boston. Both the Fenway and Marshfield locations are participating. 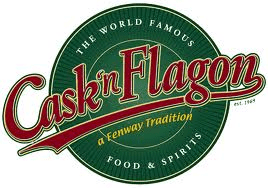 For more information about this, please head to the Cask ‘n Flagon website here. Harpoon Brewery will be extending their hours and hearts to help raise funds for One Fund Boston. The next three Tuesdays (4/23/13, 4/30/13, & 5/7/13), Harpoon Brewery will be open from 6-9pm at the Harpoon Beer Hall. Harpoon staff will be donating their time, and 100% of beer and pretzel sales will be donated in an effort to raise funds for those affected by the Boston Marathon Tragedy. For more information about this event, please visit here. So buy and enjoy some brews & pretzels for an amazing cause.